This East African country has an ancient and proud history. The bones of early hominids have been found here, dating back millions of years, and evidence suggests that modern people (Cushitic-, Nilotic- and Bantu-speaking) have inhabited the region for roughly 10,000 years. Evidence of ancient Greek and ancient Roman contact has been found in Kenya, but more significant were the trading ties between East Africa and Asia: that is, Arabia, Persia, India, Indonesia, and China. It was the mix of the indigenous culture and these Asian traders’ cultures that gave rise to the new, Swahili civilization. 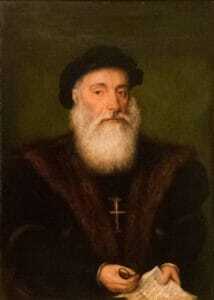 When the Portuguese explorer Vasco de Gama arrived on the East African shore in 1498, he encountered a number of prosperous city-states. For the next century, the Portuguese sought control over East Africa and the Indian Ocean trade, but they were eventually ousted with the help of the Omani Arabs, who set up their capital on the island of Zanzibar. The Arabs remained in power until the British Empire established the Protectorate of Kenya in 1885, and then the Colony of Kenya in 1920. The indigenous people of Kenya resisted British rule, fighting against the construction of the Kenya-Uganda Railway, as well as the appropriation of their land by white settlers. 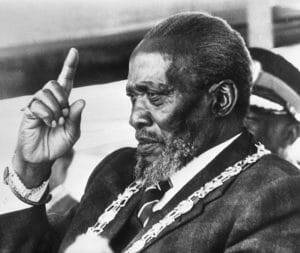 After many concerted efforts at political organization, the Kenyans set up an independent government under president Jomo Kenyatta in 1963. After independence, Kenya struggled to find the balance between fair democracy and political stability. Kenya is, after all, a country of great diversity. From the nomadic Samburu, the camel-herding Somal and Rendile, to the world-class Kalenjin runners – from the wood-carving Akamba, to the Kikuyu, Kisii, Luo, Masai, and the coastal Arabic/African Swahili culture, Kenya encompasses more than 40 distinct ethnic communities, each with its own tale and its own wisdom to impart. But over time, Kenya has undoubtedly become the top tourist and safari destination in East Africa, with something for everyone.